Shoes – Gabriel – Leather Bootie GROUP GIFT!!! So today, the day before Christmas, and all through my house, every creature is stirring and I motor boated my wifey’s blouse. No but seriously.. just wanted to wish everyone a Merry Christmas as this will probably be my last post before Wednesday. Also wanted to point out that in my post that I mentioned the great new shoes from JP dsg that the shoes were blurry >.< I am very sorry and I now realize even I am not infallible but wanted to go ahead and show them all up close and rezzed and what not now. Eyes – FATE – Eyes MESH!!! Ears – Mandala – Omimi MESH!!! Jacket – Havok – Fre$h Leather Jacket MESH!!! Shirt – Alter Ego – Chola Tank MESH!!! Pants – Flow – Jeans Deep MESH!!! Shoes – JP Design – Ventura Sneakers MESH!!! 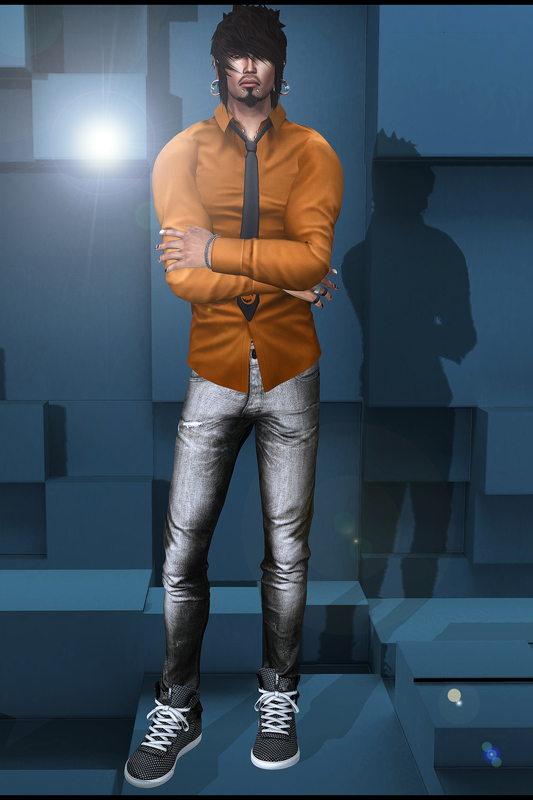 Hair – Taketomi – Zayn MESH!!! Glasses – CheerNo – Marley MESH!!! Sweater – Sey – Cardigan MESH!!! Scarf – FATEwear – Ron MESH!!! Pants – Flow – Sarrouel MESH!!! Socks – FATEwear – Jerry MESH!!! 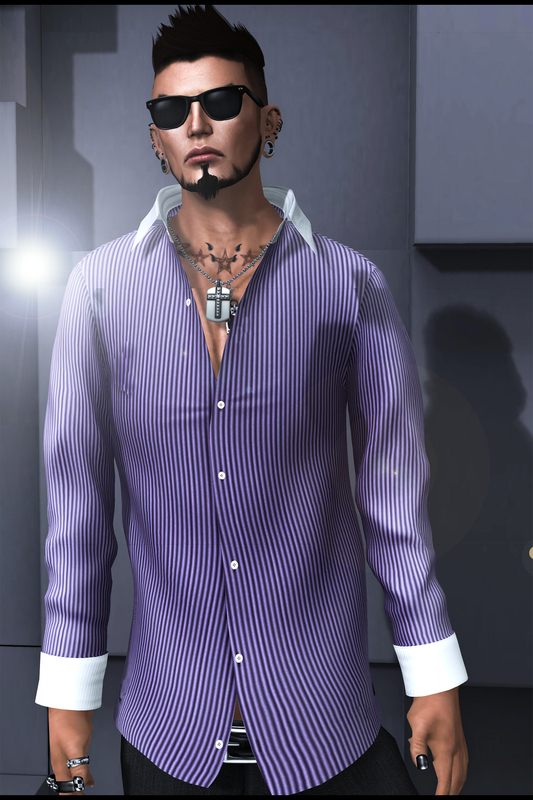 Hair – Taketomi – Ryu MESH!!! 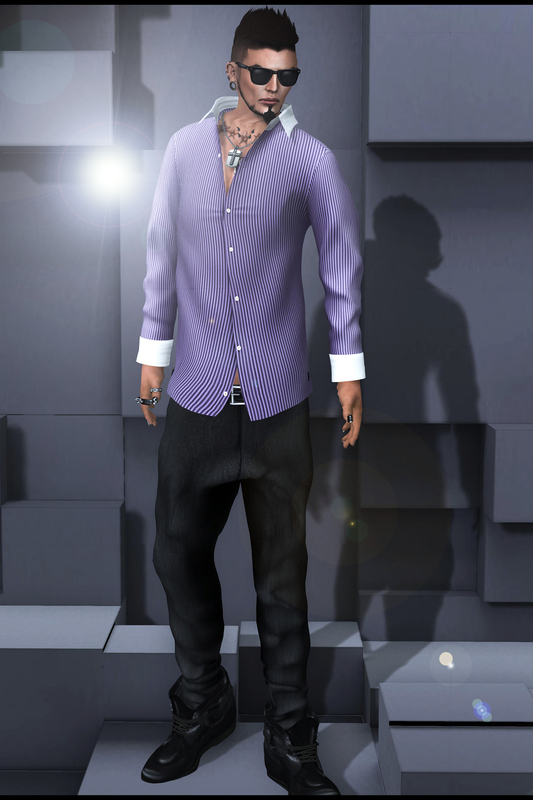 Shirt – Kal Rau – Casual Blazer M5 MESH!!! Pants and Suspenders – Not so Bad – Curtis MESH!!! Shoes – Entente – L’Equipe MESH!!! Alright so here I am again, school is done for the semester and I plan on sticking around for a while, but enough about me, I know why you’re here… THE CLOTHES! So what do I have for ya this time around? How about a bangin new cap from Kal Rau with, not this should come as a suprise but plenty of customization. Oh but it doesn’t stop there cause theres a new store popping up by the name of The Dynasty and as you can see, this sweater is HOTTTTTTT even in the coldest days of winter. But I stay fresh from head to toe so I had to cap the toes with some brand new shoes from J P Designs.. check out the credits for all the links and you will NOT regret it. Hat – Kal Rau – Beanie MESH!!! Glasses – Entente – Biblio MESH!!! Shirt – Dynasty – Snake Sleeve Sweater MESH!!! Pants – Not so Bad – Joris MESH!!! Shoes – JP Design – Ventura MESH!!! Ears – Aitui – Stretched Ears MESH!!! 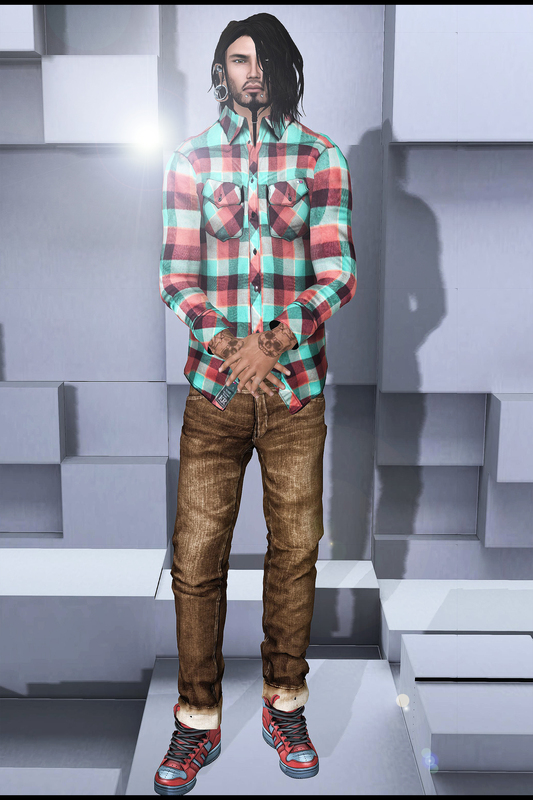 Shirt – Kal Rau – Plaid Shirt M2 MESH!!! So thankfully midterms have come and gone and my life is back to being peaceful, sort of, haha. Anyways my favorite thing about a short absence from SL and blogging is coming back to amazing new releases and I was welcomed by many, from amazing new shoes from 2Real, all the way up to wonderful jeans from Kal Rau and to top it off, no pun intended, a special edition Halloween shirt from FATEwear. 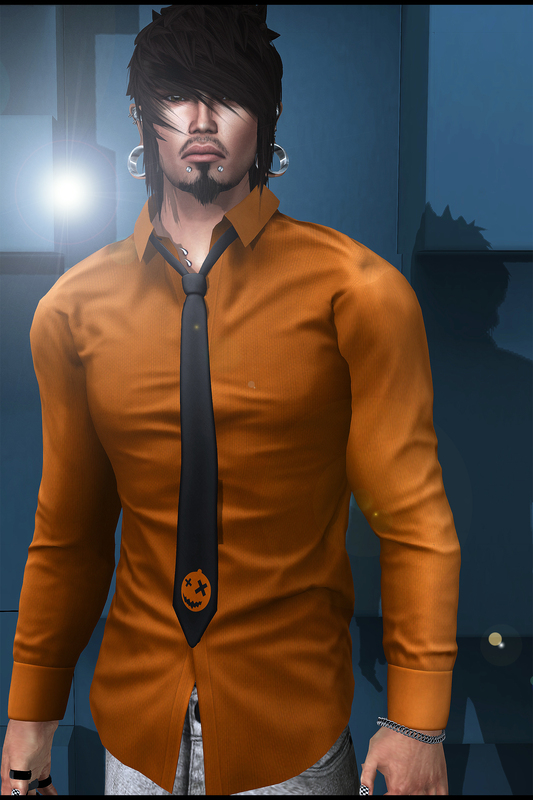 Shirt – FATEwear – Hei MESH!!! NEW!!! Pants – Kal Rau – Skinny Pants MESH!!! NEW!!! Shoes – 2Real – Cutterz MESH!!! NEW!! !